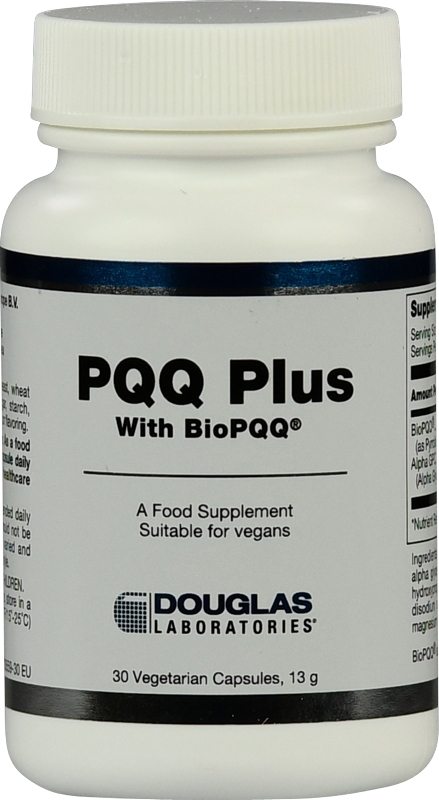 BioPQQ® Pyrroloquinolin-Quinon Di-Natriumsalz 20 mg n.a. Alpha GPC (Alpha Glycerylphosphorylcholin) 50 mg n.a. Füllstoff Cellulose, Alpha-Glycerylphosphorylcholin, Kapselhülle Hydroxypropylmethylcellulose, Pyrroloquinolin-Quinon Di-Natriumsalz, Trennmittel Siliciumdioxid, Trennmittel Magnesiumstearat, .